Elmer Stark and family were early residents of Bronaugh. The obituary for Mr. Stark was in the March 12, 1920 Bronaugh Journal. 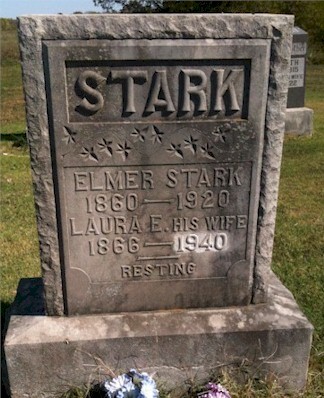 It shows his birth date as August 29, 1860 and his death on February 15, 1920. He had married Laura Edwards in 1883. If you have information on this family to share or questions please email us.